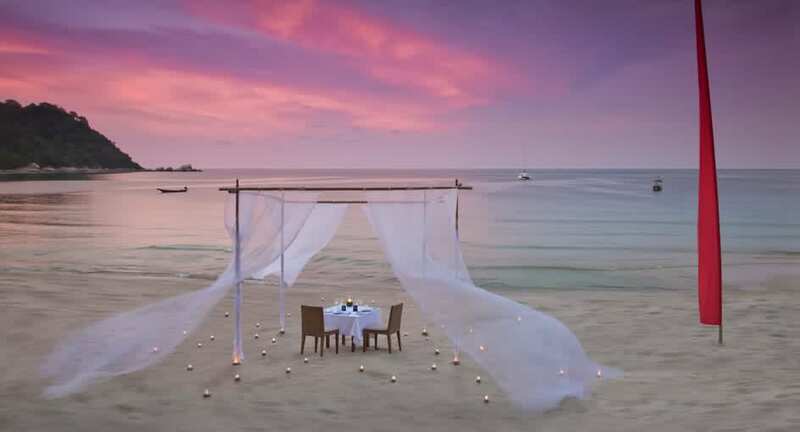 Indulge in a private royal Thai dinner on the beach with bubbles. Our Executive Chef’s Royal Thai Degustation Menu presents four courses of signature specialities, served in the traditional Thai style of sharing. Celebrate the exotic tastes of Thailand’s finest cuisine and the romance of island life with a complimentary bottle of sparkling wine. For more information or reservations, please call +66 77 956 660 or email rasananda@anantara.com.